WASHINGTON, D.C. (June 7, 2017) -- The National Association of Black Journalists (NABJ) is launching its Black Male Media Project, an initiative to help change the narrative around the lives and images of black men in the news and in society, with a series of workshops nationwide on Saturday, June 10, 2017. The NABJ Black Male Media Project will launch with 19 NABJ affiliate chapters hosting events in various cities across the United States, including Atlanta, Baltimore, Chicago, Dallas, Los Angeles, Miami, Pittsburgh and St. Louis, all on the same day. The initiative is designed to inspire, support and develop training and mentorship opportunities for black men working in or aspire to work in journalism and media. 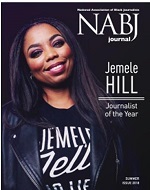 "NABJ has created the Black Male Media Project to combat the blotter-to-mugshot images of black male faces, to create a fresh and real view of black men in America and across the diaspora and to help build trust in communities nationwide," said Sarah Glover, NABJ president. The initiative's launch with feature workshops, panels and events focused on examining newsroom diversity, professional development and networking. The New York Association of Black Journalists event will include Civil Rights Activist Rev. Al Sharpton, New York Daily News justice writer Shaun King and Fox 5 News Director Byron Harmon as part a panel of black male journalists, discussing race and the perception of black males in the media. Concurrently, the Tampa Bay Association of Black Journalists will will screen a documentary on that city's historically black business district. Participating chapters will promote the project - open to anyone helping to engage around the value of black males working in newsrooms and media - using the hashtag #InspireBlackMen. Please share this post with other journalists and use #InspireBlackMen to begin the dialogue that will help fuel a change in the perspective of black men. The second phase of the NABJ Black Male Media Project will be a digital photography project showcased at the NABJ Annual Convention & Career Fair from Aug. 9-13, 2017 in New Orleans, Louisiana. NABJ members will be invited to share positive pictures of black men.Some of the images will be displayed during the convention, and hopefully a traveling juried exhibit will happen in the future. More details are forthcoming on the digital photography project. Also at the #NABJ17 Convention, there will be a special reconvening workshop session focusing on black men and the #InspireBlackMen project. Media outlets and general questions may direct inquiries to: InspireBlackMen@gmail.com. Partnership inquiries may be addressed to JoAnne Lyons Wooten at jlwooten@nabj.org. The Atlanta Association of Black Journalists will host a brunch program on Saturday, June 10 to celebrate Black men and "to help change the lives and images of black men in the news and in society." The program will include a panel of well-known men from different media, including radio/TV/film, sports and music. The panelists will discuss the images of Black men in their respective fields (both negative and positive), what they have experienced, and any changes they are making to provide a solution to the issue. The Baltimore Association of Black Journalists has a special program designed to inspire, support and develop training and mentorship opportunities for Black men working in journalism and media and those that aspire to. Key figures in media were tapped to lead this effort for Charm City. The chapter has partnered with WBAL-TV 11 & WBAL 1090AM Radio to host the event. The Charlotte Area Association of Black Journalists project is being headed by Pulitzer Prize-winning journalist Glenn Proctor. Panelists will explore the need to have black men represented in the editorial process, leadership and resilience, and take a critical look at journalism through the eyes of black male reporters. The discussion will include how the industry has changed black male journalists and if that change has an impact on how black journalists cover our communities. In an effort to change often-negative portrayals of black men in media, NABJ-CC will host an event to discuss the issue and expose young black men to careers in media while providing one-on-one mentoring to jump-start their futures. There are also plans to take them on a tour of a top local media outlet. The Dallas-Fort Worth Association of Black Journalists is planning a Black Media Day of Presence. Black male journalists will gather for a photo taken by celebrity photographer Steven Williams. Leaders in journalism and the community will help lead a discussion on the state of black males in media in the Dallas-Fort Worth area. The Central Arkansas Association of Black Journalists (CAABJ) will partner with KWCP 98.9 radio and mentor African American males who are preparing to take the Certified Radio Operators (CRO) exam. The goal is to help the mentees to become official certified radio operators. The CAABJ mentors will provide training and tutoring through workshops, lectures and practice examinations. NABJ Los Angeles will host a digital discussion on the state of black males in the media, addressing pressing questions such as how can the media better serve black men. Participants are invited to share the moments when their identity impacted their careers and how and to explain how mentorship has affected their careers. Some of the biggest names in media are expected to weigh in. 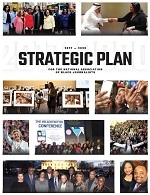 The chapter is partnering with the LA chapter of the Black Public Relations Society. The Memphis Association of Black Journalists will hold a panel discussion on June 7 with African American males in media and include community organizations that work with black males. The panel will focus on showcasing black males in media and how they can impact our community through mentorship programs and professional development. There will be a digital component with videos to showcase black men in media. We will connect with black males in high school and college to mentor emerging journalists and combat the literacy problem in Memphis. The South Florida Black Journalists Association is participating in a nationwide initiative highlighting black male journalists who contribute to telling stories about black men and the relationship with the media. There will be an engaging panel discussion that explores the black male story in the media from those who tell it, produce it and view it. The event will be live streamed. The New Orleans Association of Black Journalists (NOABJ) will begin with a panel discussion Perception vs. Reality: Black Men and the Media. Dr. Charles Corprew will lead the discussion. They will partner with the partnership with M. von Nkosi, creator of the Mi Rialiti social experience app, to gauge participant experiences both with the images of Black men in the media and as Black men working in journalism. The New York Association of Black Journalists is planning a mentorship day to include Rev. Al Sharpton, nationally recognized journalist Shaun King and Fox 5 News Director Byron Harmon as part a panel of black male journalists leading a discussion on race and the perception of black males in the media. Panelist will examine the causes fueling the lack of black males in major mainstream media newsrooms and the relatively narrow scope of coverage on issues affecting black people in the age of President Donald Trump. Recruiters from some of the city's top media companies will be present as well. The Hampton Roads Black Media Professionals event will include an in-depth look at the barriers facing black male journalists. The program opens up to attends with a question-and-answer session. A panel of industry leaders and well-known media personalities will help provide insight on the issues raised. Everyone is encouraged to attend, especially young men! The event is free, but donations for HRBMP scholarships are accepted. Let's #InspireBlackMen together! The Philadelphia Association of Black Journalists will hold a series of discussions including newsroom leaders, newsmakers, and community leaders. They will candidly address questions about how far black journalists come have and how far do they have to go. Participants will receive training in broadcast, including radio, print, and digital reporting. The professional development training will be open to youth. The Arizona Association of Black Journalists will open its session with an engaging discussion about racist graffiti on the home of NBA great LeBron James. A panel of students, journalists, and police will guide participants through the portrayal of black men by the public and how that impacts journalists covering issues that shape the image of black men. The Pittsburgh Black Media Federation invites aspiring and professional photographers/videographers to a networking and mentoring forum where it will discuss images of black men in media. Attendees will engage around the value of black males working in newsrooms and media. Attendees are welcome to bring their cameras to talk shop. Those who would like to showcase and discuss their own photos and short videos of black males working and living in Pittsburgh communities may bring them on thumb drives to be shown on a large projector screen. Aspiring photographers in middle, high school and college are encouraged to attend the free forum interactive discussion. The Triangle Association of Black Journalists will address issues confronting black male in media online. Veteran journalists in the Raleigh-Durham-Chapel Hill area will rely on social media to lead the discussion about obstacles facing men of color and provide actionable solutions using the hashtag #InspireBlackMen. They will kick off their digital discussion on speaking directly to emerging journalists in the numerous colleges in the area working to establish a career. The Greater St. Louis Association of Black Journalists will meet on the campus of Saint Louis University, Boileau Hall. Their journalists are teaming up with representatives from the arts, youth development and social research to tackle the issue of negative stereotypes, damaging images and how they affect black men and boys. The panel discussion and question-and-answer session will include some of the strongest voices in media in the St. Louis area. Tampa Bay Association of Black Journalists will take a look at the community Journalists cover through a special documentary screening to delve into Central Avenue, the historically black business district in the city, a vibrant area until its physical and symbolic demise in 1974. Their program will recognize African-American pioneers in the Tampa television market, with profiles of and encouragement from, current journalists and provide an opportunity for current and emerging journalists to learn from their struggles. Wisconsin Black Media Association will facilitate a talk with young men aged 14 to 25 years old, and Milwaukee's Brothers in the Media. This is a free event, and attendees will get a chance to participate in a candid dialogue about working in the world of media. These influential speakers can give genuine insight into what they do, why they do it, and the hurdles and rewards presented to them here in the Greater Milwaukee Area. This event is a great networking opportunity for those looking to the careers of Journalism in News, Print, Radio/Podcasts, Blogs and Social Media. Breakfast and lunch will be provided.